Where there is life, there is death. As educators in a school setting, there are times when we come face-to-face with this reality, whether through the passing of a staff member or the tragic loss of a student. Many of us have also helped a student who has entered our library with the loss of a loved one, which can have a painful and devastating impact. As part of a network of school professionals, we can help by providing assistance during the grieving process. One way we can do this is through our school makerspace. We often think of school library makerspaces as encouraging STEM activities, but they are also places of wonder, discovery, and compassion. We can use them to embrace a more compassionate agenda, from service projects to mourning the loss of a loved one. We’ve probably all had a student or library patron approach us and say, “My grandpa died this weekend.” We console, empathize, and even suggest bibliotherapy. These strategies are helpful, but a physical outlet can also be helpful to release some of the stress and emotions that get bottled up. This is where your school makerspace can play an important role in the social-emotional well-being of your students. The physical experience of hands-on making with a purpose or even just tinkering provides a safe space for the bereaved. The school makerspace, or the act of making, can foster communication and encourage self-expression — two important attributes needed in the healing process. At other times our grief is communal — a shared grief prompted by the loss of a community member, staff member, or student(s). In this scenario the mood and feeling can be overwhelming as you come together as a community to share your sorrow and loss. As in the case of individual loss, each person grieves and reacts in different ways. There is no one way or a right way to grieve. It’s a process that we each go through and our reactions and emotions vary. Coming together in a central location such as the library can benefit students and staff who need or prefer others for support. In order for students “to reconcile the loss, they must have a safe, accepting atmosphere in which they can mourn” (Wolfelt, 2001). The library fits this description well. Students who need space and time to process their emotions should not be forced to participate in group activities. In addition, a student may start off fine, then need some solitary time to process emotions. Allow this, and provide a quiet area and therapists, if needed. You cannot force another to grieve on your time schedule or through activities you think are helpful. Time and patience are necessary. For those students or staff who need down time, we also have apps for meditation on our makerspace iPads. In a recent School Library Journal article, Diana Haneski, school librarian at Marjory Stoneman Douglas High School, shared similar sentiments about using her library makerspace after a schoolwide crisis. “For a little while, you forget,” said Haneski of the Parkland shooting of Feb. 14, 2018. It was beneficial for students to use their school makerspace to “get into a flow, doing something else,” she said. Students used the Stoneman Douglas library to write letters to government representatives and create friendship bracelets. Addressing grief in a hands-on, physical manner allowed the bereaved to feel more in control and to gain a sense of power after a loss. “It’s very good for your mind. It’s been part of the healing process,” said Haneski. Counselors also spent time in the library’s space, facilitating access to students (and staff) in need of support. Kids could sit around a table working on a puzzle while they talked to a counselor, reported Haneski. It’s easier to share difficult conversations when occupied by puzzles, tinkering, or other makerspace projects. 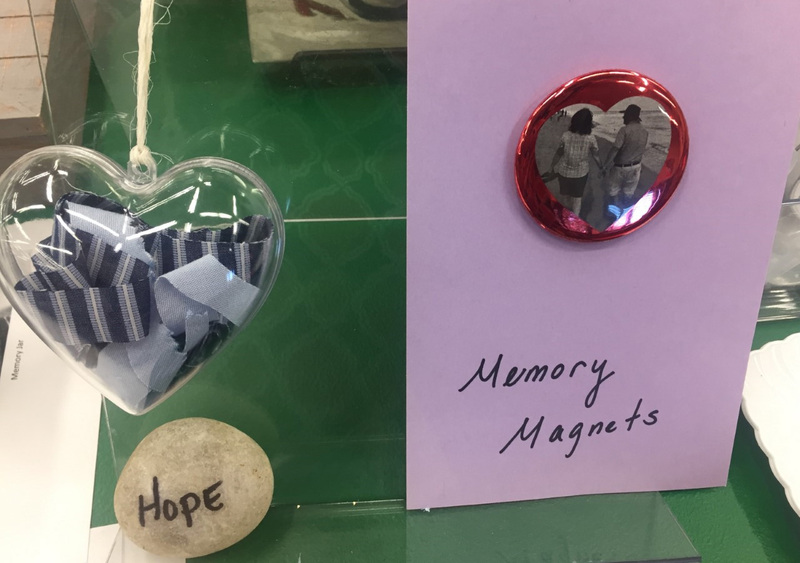 In addition to general makerspace tinkering, here are some specific programming ideas suitable for groups or individuals to help them deal with grief and honor their loved ones. All examples, and more, can be found on my LibGuide: Grief and Bereavement. Journals: Journaling allows students to privately express their thoughts and reflect on them. If your library has a binding machine, journals can be made from scratch. Or simply provide plain notebooks and allow students to decoupage the front and back covers with images they choose from discarded magazines. Mod-Podge seals the images. Stress Balls: Made from beads and balloons, stress balls provide a physical outlet and are beneficial for all ages. They’re useful during exam time, too. 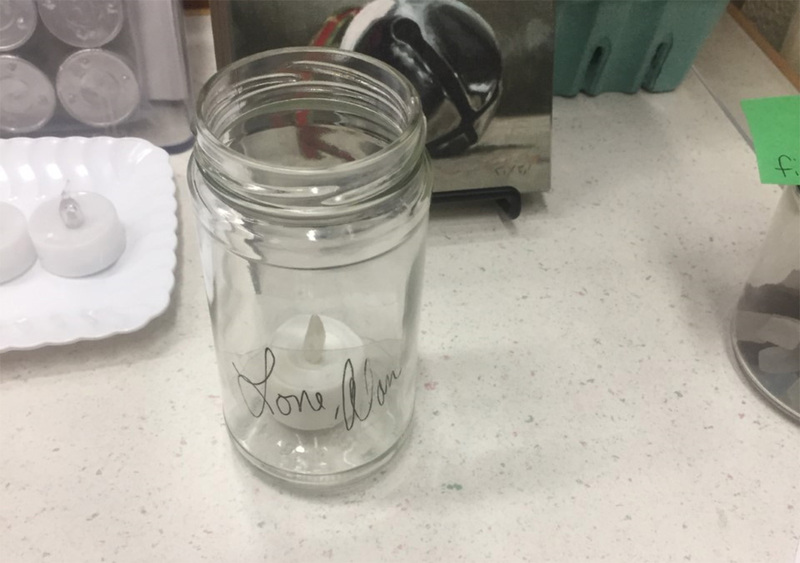 Memory Jar: Start by having the student find items of significance to add to an upcycled clear glass jar, such as a jelly jar. For example, if the deceased person loved going to the beach, the student can add sand, beach glass, or shells collected during an outing. They can add a photo or other trinkets that have special meaning to them or the deceased. Personalized Memorial Candle: You’ll need to use your library’s photocopier to print out a favorite photo or copy of the deceased person’s handwriting. Only a laser printer or photocopier will work; do not use an inkjet printer. Using clear contact paper, you’ll be able to transfer the image onto a glass jar. Supply small LED candles for inside the jar. 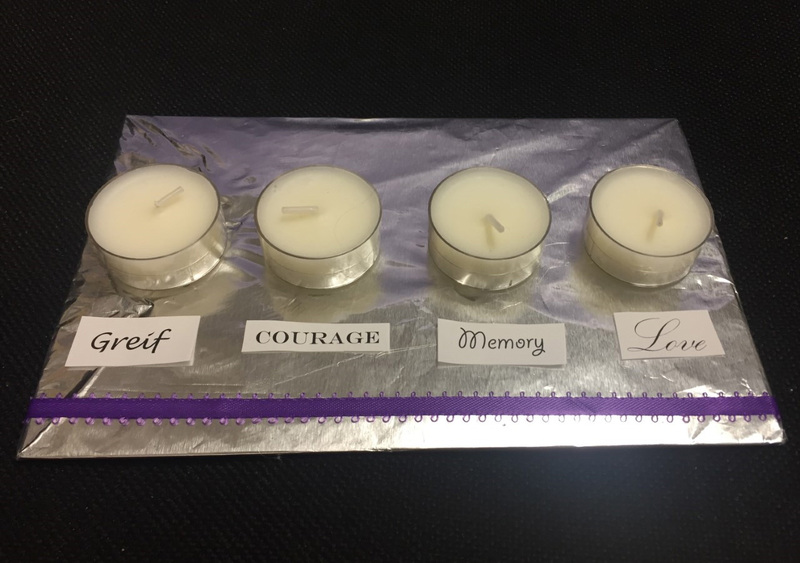 Memory Candles: Create a memory lantern or memory candleholder symbolizing grief, courage, memory, and love out of cardboard, aluminum foil, ribbon, and votive candles. The “four candles” poem or others can can be displayed with the activity. 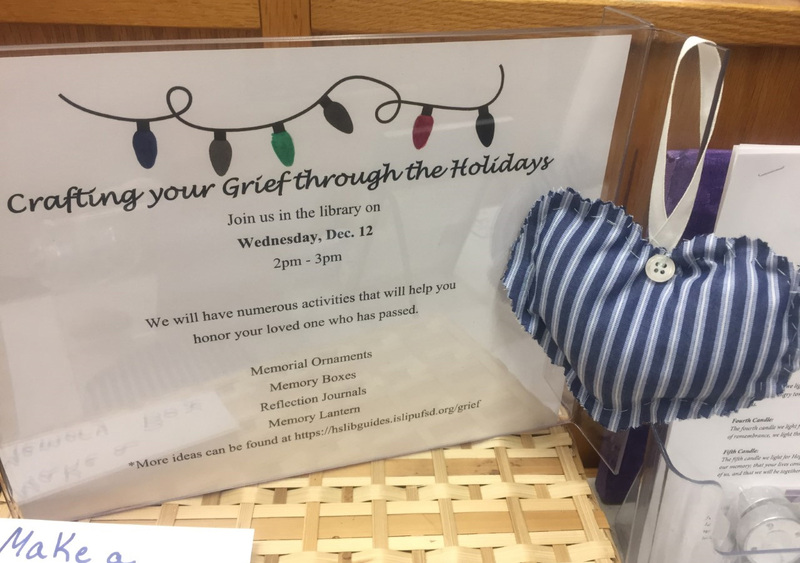 Memorial Ornament: This activity acknowledges the participants’ emotions by using colored ribbons to symbolize a range of feelings. The fillable ornament helps children identify and visualize the emotions of their grief. 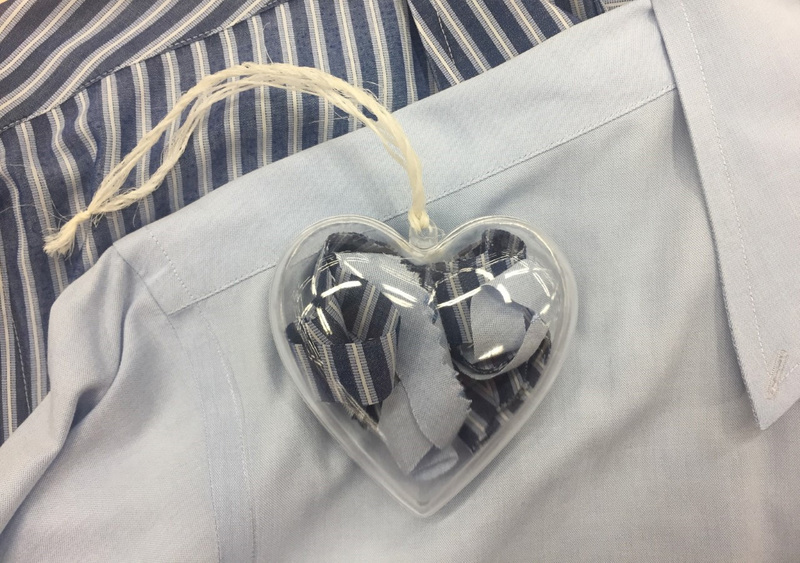 Strips of fabric from the deceased’s clothing can also be cut and placed in the ornament. Professional Support: Librarians do not take the place of licensed, trained therapists. Seek backup from the professionals in your building or community. In a school setting, talk to your guidance counselors, social workers, and school psychologists before implementing your program. They can also help promote your program and refer students in need to seek your assistance, as they are generally most familiar with student and family situations. However, you might be the first person to discover the student’s situation and may need to direct the student to the support team in your building. Students and their families might not be familiar with the resources within your school. Working together with school resource professionals provides youth with well-rounded support. Original Materials: Remind participants to use scanned copies of photos instead of originals and to decide carefully if they choose to use personal fabric for a project. Cutting mistakes cannot be undone and they wouldn’t want to make a mistake when cutting their loved one’s favorite shirt and then not be able to use it for their project. This can add to one’s grief and disappointment. Photocopiers and scanners should be available to enable copying. Dried flowers from funeral arrangements can be placed in ornaments and memory jars. Again, permission is imperative. Self-Care: It is important for grief providers to practice self-care, as the emotional toll of working with a group of grieving students can become overwhelming. In addition, partner up with another staff member who can take over during a session when you need a break. Reactions: Familiarize yourself with typical grief reactions by age (0–20), but remember, there are no “normal” behaviors, as we each grieve in our own way. These typical expressions of grief are listed as an overall guide. If an individual’s reaction causes significant concern, seek professional assistance. Important Calendar Dates: Holidays or celebrations (Thanksgiving, Christmas, Hanukkah, Halloween, and Dia de los Muertos, etc. ), can be a difficult time for mourners and can be potential triggers for those grieving. 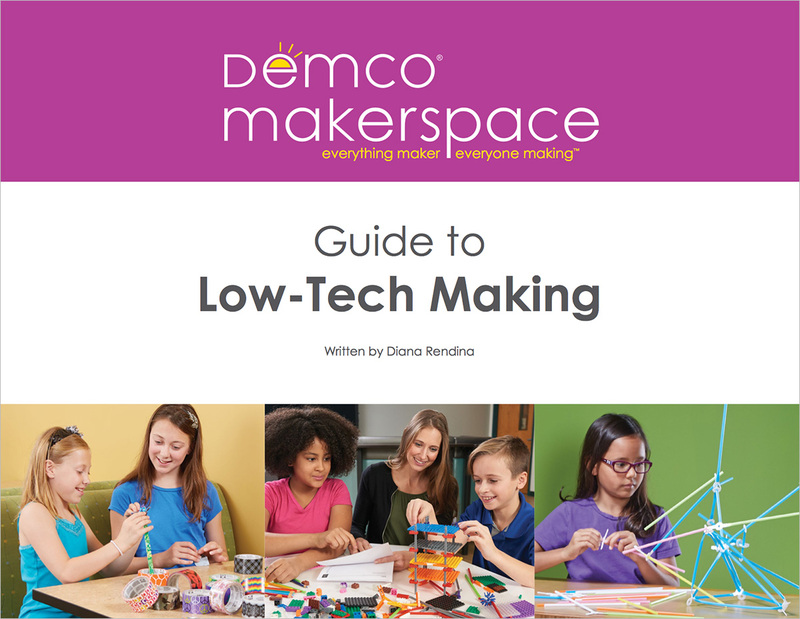 Consider hosting some special sessions in your school makerspace during those times. Other important dates include the anniversary of the loved one’s death, as well as Children’s Grief Awareness Day and Children’s Grief Awareness Month (both in November). Coalition to Support Grieving Students: This site provides free modules for educators, including resources on developmental and cultural considerations. National Center for School Crisis and Bereavement: This site includes resources in other languages. Wolfelt, A. (2001). Healing a Teen’s Grieving Heart: 100 Practical Ideas for Families, Friends and Caregivers. Fort Collins, CO.: Companion Press. 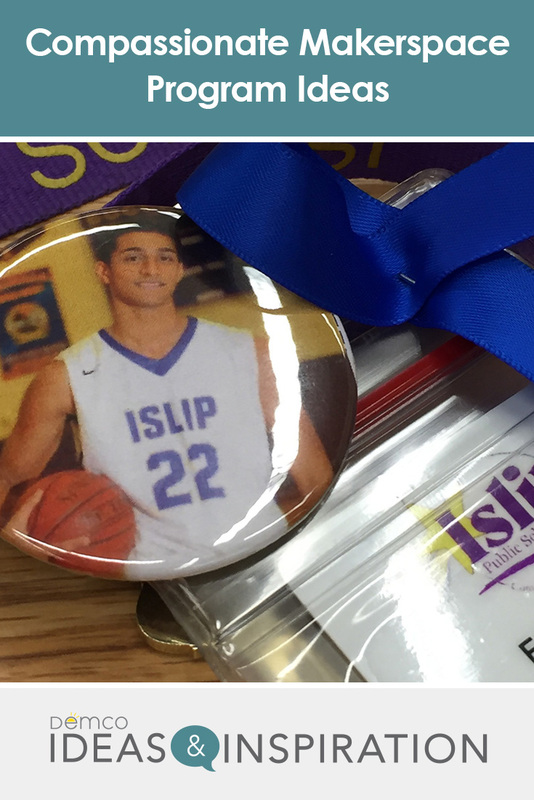 Gina is the library media specialist at Islip High School (NY). Gina was awarded the Suffolk School Library Media Association’s School Librarian of the Year in 2014 and this year she was named to Library Journal’s Movers & Shakers list as a “Change Agent.” Look for her upcoming book, Makers with a Cause: Creative Service Projects for Library Youth (a Libraries Unlimited imprint), and her chapter on inclusive makerspaces in Heather Moorefield-Lang's, School Library Makerspaces in Action, both due out next year. Gina believes in active participation and giving back to her profession through service. She serves on numerous committees for ALA and YALSA and is an Adjunct Professor at St. John’s University (Queens, NY). Gina shares her work, musings and reflections on her blog GinaSeymour.com and on Twitter @ginaseymour.